Versatile and effective. Safer for your use, your family and the environment. EcoConcepts is a leader in the development of high-performance, safer cleaning products for the home, industrial and janitorial markets. While today’s market is saturated with ‘green’ claims, we makes safer cleaning solutions without any compromise. 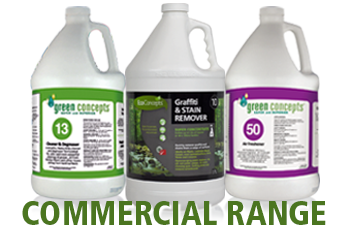 Our products represent truly green cleaning technology, now available in Australia. No carcinogens, phosphates, chlorine bleach or harsh solvents, and low or no toxicity to human and aquatic life. 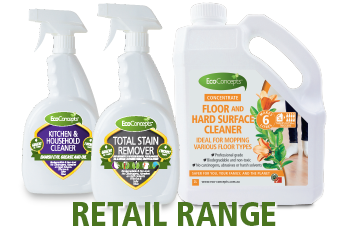 Explore the EcoConcepts range for home and commercial use, and be a truly green cleaner!